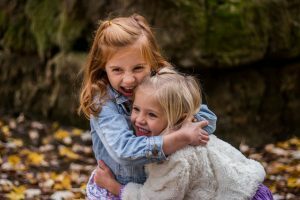 Events | Communicating with kids……..made easy! Where does this session start? With you! Of course, it comes from pre-conditioning – (parents, role models) as well as environment and certain people you interact with. Children learn from the adults around them, they use us as role models, guides, mentors (whether we realise it or not). Therefore it makes sense that often what we show them in our words and actions is how they believe we want them to communicate back to us… because we have shown them what is acceptable in their perception. Compassionate assertiveness is the key, the magic ingredient of communication that works so well, once mastered, it will be like a light has been switched on for you. You will see SO clearly why and how your previous communication styles have ended up as they have. You will see this as a way to allow children to feel empowered and independent, whilst keeping them safe. And you will have what we all desire – a relationship that is based on mutual trust, love, and respect for the others’ viewpoint and choices in life. This session is simple – you reap what you sow. If you are sowing it now, you will be reaping it for years to come and way beyond the point when they live with you. You can change that whenever you want! Simple easy to use techniques to make life easy and harmonious.